January Sinus Problems = Blog Post! Sign up here for email updates when new episodes are available. Unfortunately, the only radio my voice could pull off this week is either a “classic rock that rocks” liner or an episode of pillow talk. While I’m on the road to recovery, check out this essay about AM radio when I was a teenager! There are also links to several archived episodes for your listening pleasure. See you next week! Chris’s Radio Story: Radio, Someone Still Loves You. Ever since I was a kid, I felt there was something magical about great music and an interesting personality coming through the radio. I listened intently to our local AM station – WILI – to my Grandpa’s reel-to-reel recordings from Armed Forces Radio, and devoured the records, 8 tracks, and CDs he and my Dad both had – everything from Elvis to Steely Dan. On my quest for great Rock ’n’ Roll, I heard about the legendary DJs who played those records on the radio – Wolfman Jack, Cousin Brucie, Alan Freed, Dan Ingraham. I figured I’d try my hand a picking music and talking between tracks – recording from the speakers of one cassette player to another – I must have been in 5th grade, my voice still in its prepubescent high. By 8th grade, I was burning out those tapes. I told everyone I knew about DJing, annoyingly sang along with all the jingles riding in the car, and most everyone I knew wondered about he kid listening to Fat Domino instead of Montell Jordan. Mr. Hutson, my 8th grade tech ed teacher, set up a tour of that local AM station – WILI – and I was in Heaven. Thinking about it now, I can see the station the way I saw it then. I met the morning show host, Wayno, of Wakin’ up with Wayne, saw how the news was produced, and met some of the management. At the end of the tour, Colin Rice, the vice president, and son of WILI’s founder, Herb Rice, fielded questions from me about life on the air. At the end, to my utter glee, he offered me an internship! I learned how to use the boards, cue up 45s and cds, and over time, hosted my own oldies show – called Rock ’n’ Roll Returns. That turned out to be my first paying job. Every Saturday, I played the music I love – Four Tops, Supremes, Beatles, anything with that Rock ’n’ Soul feel. Throughout high school, I covered news shifts, learned how to cut tape, read the Community Calendar and commercials, and covered afternoon drive time and weekend shifts when the usual DJs were on vacation. Then came graduation. I was headed to Holy Cross in the fall so my time at ILI was up. I also worried that being an impartial newsman might stunt a growing ambition I had – politics. I let that ambition get the best of me and though I hosted a radio show in college an wrote for the newspaper, I let those passions fade, sure I was chasing something better. Over a decade and a law degree later, I’m not always convinced I was right. Nonetheless, the internet breathes new life into a multitude of hobbies and passion projects and I’m glad to say it’s brought me back to mine. In 2012, after Bridget knowingly gave me a vintage AM radio for Christmas, I got to work and Radio Free New England was born.First, as a talk only set of commentaries and interviews until it evolved into its current form –a music show in the spirit of that old, local, and full service station, WILI. 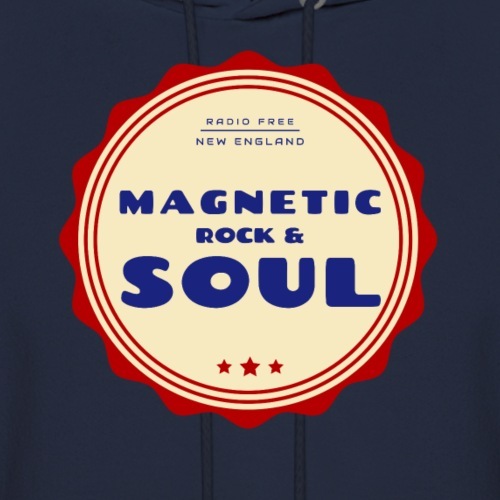 Every week, you’ll hear a mix of rock and soul, a generous helping of music history, interviews with musicians, and New England events and culture, because radio, like people, is best when it’s rooted in a place. Please come with me every Sunday and immerse yourself in rock and soul from the classics to new artists who keep the flame alive. Along the way, we’l explore the world around us – the people, culture, and history that makes us who we are. RFNE becomes Music Radio: Interview with Cole Bales of the Funk Rock Band Instant Karma! This entry was posted in blog and tagged AM radio, blog, memoir, Music, podcast, radio on January 6, 2019 by Chris. 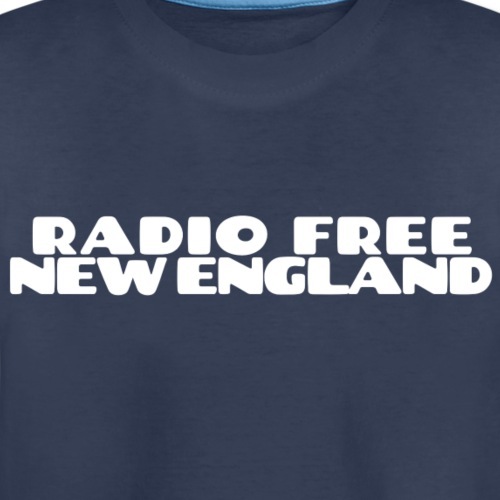 Show the Love with Radio Free New England Shirts and Gear! Thanks to good feedback, we now sport a few different designs to choose from. Click this link to go to the RFNE store to grab a t-shirt, sweatshirt, mug, hat, and more. This entry was posted in blog and tagged blog, merch, Music, podcast, radio, Rock 'n' Roll, soul, support, swag on January 5, 2019 by Chris. S1 Ep 9 – Messick Returns! I’m pleased to be joined this week by Eric Messick, long-time RFNE commentator on The Snail’s Path, focused on sustainability, environment, and climate issues. Eric is back this week to talk about the November 6th elections in the context of climate issues. Our music has a decidedly oldies feel this week – from Sam Cooke to the Temptations and Supremes. Plus, I talk about my own views on the midterm elections and the need for dignity and solidarity in the face of national division. This entry was posted in blog, Podcasts and tagged blog, climate, election, immigration, oldies, podcast on November 4, 2018 by Chris. See the post above. RFNE is BACK. I’m switching venues, slightly, and will not be regularly podcasting. So, if it’s just going to be a blog, and not a podcast, I think you’ll agree that any title with RADIO in it is not just misleading, but also silly. Have no fear, if you follow RFNE and are worried about what you’ll do with one less blog in your feed, you can follow my new, written work at The Fireside. Please follow me there! This entry was posted in Podcasts and tagged blog, The Fireside, writing on July 17, 2016 by Chris.